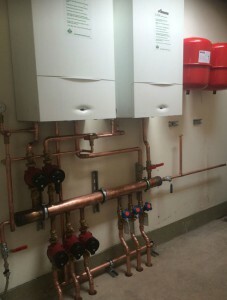 At Aquatech, we’ve been providing and installing heating, plumbing and gas systems to Hertfordshire, Essex and East London for many years now. Whether you need a plumber in Saffron Walden or a heating engineer in Chigwell, we pride ourselves on being able to deliver the services you need at a price you can afford. As a well-respected team, we’re well known and have gained a fantastic reputation for delivering high quality plumbing services. Something that we’re extremely proud of, we’re delighted the quality of our work and the general service we provide isn’t going unnoticed. It doesn’t matter what project we’re working on, whether it’s fixing a leaking tap or renovating an entire bathroom, we always do our utmost to completely satisfy. Pleased to say we receive many testimonials (which we scan in and upload, so you can be certain they’re all completely genuine), we’re also delighted to say that over two-thirds of our work comes from referrals – to us, that’s fantastic proof that what we’re doing is exactly what’s required. As such a lot of our work comes through recommendations, many of our customers don’t realise the true extent of our services until we begin talking to them. Often getting in touch because they want us to do the same for them as we did for their friend or relative, the truth is that our list of services is particularly extensive and therefore regardless of what your plumbing or heating related issue or project is, we’re confident you won’t have to look anywhere else to have the work carried out to your requirements. However, whilst plumbing is one of our primary services, we actually provide several others and the five below give you a good insight into exactly what else we can deliver. With the UK’s climate particularly unpredictable, having an effective heating system is a must in any home. Able to provide everything from a full system design and its implementation through to individual radiator repairs, our heating services ensure your system is as beneficial and efficient as it can possibly be. Boilers need to be replaced periodically as they eventually become unsafe and inefficient. Aquatech will assess your boiler’s condition, give you an honest appraisal and only when necessary, help you decide on a new boiler. 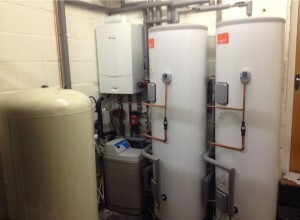 Just as boilers need replacing from time to time, so do the systems they feed. We will give you an honest and informed view on the functionality of your heating system for its age. We’ll never replace a system before its time. 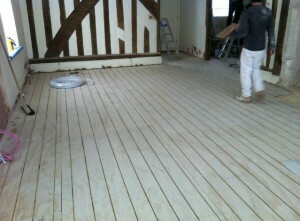 Under-floor heating is an efficient way to bring warmth to the whole room, and avoids visible pipes and radiators. They also lower your fuel costs as they run efficiently at much lower temperatures to traditional heating systems. We also install, service and repair all kinds of radiators, including traditional, designer, and vertical. Today, we understand that radiators can sometimes be about more than just heating but can make a real design statement in a room. The right heating programmer or thermostat can save you money and reduce environmental impact as well as being an easy and convenient way to keep your home or building at just the right temperature. Although one of the most used rooms in any house, bathrooms are not often given the care and attention they need in terms of continued improvements. 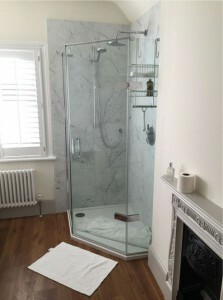 At Aquatech, we’re not only proud to say that we can provide a full installation / renovation service, including all design and building work, but we do our utmost to make the bathrooms we provide as efficient as they can be (using a range of resources and techniques, including aerator taps and smaller toilet cisterns). 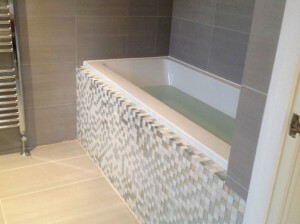 We provide full bathroom and wet room installations, from any necessary small building work such as carpentry, plastering and electrical works through to tiling and of course the plumbing. 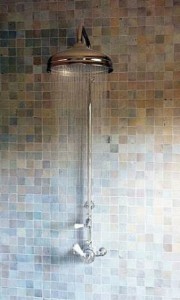 We can also cover walk-in showers and adapted showers and bathrooms for disabled clients. 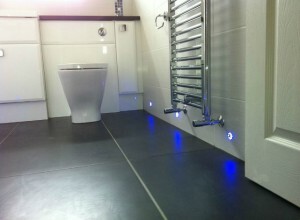 Bathroom heating is a speciality of ours, with under-floor heating providing an extra level of luxury and comfort. 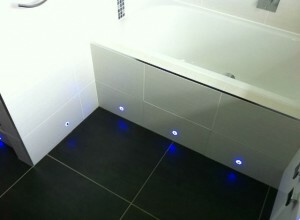 We also handle those small yet essential issues, such as repairing dripping showers and taps. 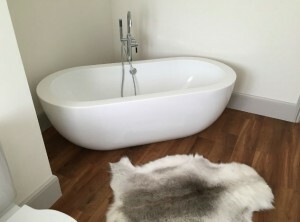 We love installing bathrooms that focus on both form and function and can create a bathroom with both a five star hotel look and feel and one that’s environmentally friendly, practical and just right for you. We can also bring you financial and environmental efficiency, by making recommendations such as use of aerator and spray ends for washbasin taps for compatible systems. Aerators mix air with water and can reduce water consumption by up to 50%. Smaller toilet cisterns (6/4 litre dual flush as opposed to traditional 9 litre) save huge amounts of water with no noticeable effect on performance. We do our utmost to ensure the final product meets each customer’s expectations perfectly, something we aim for by speaking to them in-depth before we even start to carry out any work. Continuing with our aim of delivering the most effective and efficient products possible, we are particularly experienced in the installation and maintenance of biomass heating systems. Fuelled by wood, they’re one of the most affordable and environmentally-friendly heating options currently available, saving you almost £600 per year and reducing Carbon Dioxide emissions by 7.5 tonnes each and every year, too, when compared to an electric heating system. When correctly managed, wood is a sustainable fuel that offers significantly reduced carbon emissions in comparison with fossil fuels. As the wood source grows, it removes CO2 from the atmosphere at a higher rate than it releases when burnt, making it a carbon-neutral fuel source, unlike fossil fuels like oil and gas. Wood that is sustainably sourced from within the UK represents a very secure long-term fuel supply as opposed to oil and gas fuel sources, and its supply supports local businesses and the rural economy. What’s more, for the consumer, wood pellets and wood chips are a comparatively very cheap energy source and are not easily affected by world market prices. We have an established partnership with Twinheat, UK distributors of biomass boilers and so are well-placed to assist both domestic and commercial clients in installing cost-effective biomass systems that help them heat their homes and buildings efficiently. Through the installation of a solar thermal system to provide hot water to your home, combined with biomass heating, you can be on your way to not only saving a small fortune, but having a carbon-neutral environment. With the water heated by energy gained from solar panels (installed upon your roof), it’s one of the most cost-effective energy options available for the house market, as aside from the initial installation costs and occasional maintenance, there are no other costs required for the production or provision of the energy. Solar thermal is a highly-cost effective choice as the energy source – the sun’s light – is free. 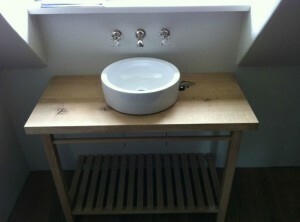 The only costs involved are the initial installation, a one-off investment and occasional simple maintenance. You’ll then rely less on fossil fuels like oil and gas to heat your property, prompting reduced energy bills, and producing fewer carbon emissions. Less reliance on fossil fuels bring about significant environmental benefits. Aquatech provides installation of solar thermal for domestic and commercial properties, covering everything from fitting the solar panels, to ensuring compatibility with current heat and hot water systems. Maintenance costs are very low, usually only required every 3-7 years, when the solar fluid in the panels may need to be replaced or topped up. Our reminder system means that we will get in touch when a maintenance check is due. As we all know, rain is particularly common in the UK right throughout the year. Although many may complain about it, the truth is it can actually prove to be a valuable resource if you have the correct equipment in place. For instance, by installing a rainwater harvesting system, you can collect every single droplet of rain that falls onto your house, which can then be used for almost every purpose other than drinking and showering (so that’s everything from toilet flushing through to use in your washing machine). Here at Aquatech, we supply and fit high-quality rainwater harvesting tanks and systems in the form of modular tanks which can be housed above or underground. 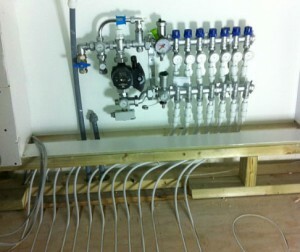 We also supply pumps that integrate with your current water supply system. For new builds, we can create an entire water system from scratch, and we deal with everything from small houses to large apartment of office buildings. One of the main points we always want to get across is that we’re a local company, offering a local service. We know how great it can be working with someone from your area and so no matter how big we grow, that’s exactly the service we want to deliver. At present, the majority of our projects tend to fall within the boundaries of Cambridge to the north, Braintree to the east, Brentwood to the south and Stevenage to the west, but we do serve customers right throughout Essex, Hertfordshire and East London. There’s no doubt that we’re delighted to work with clients who require our services, but we always make it clear that we can also provide a range of other services, as we truly want to ensure we can satisfy as many customers as possible. 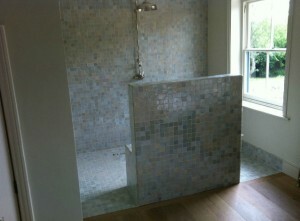 And we have no problem doing the minor jobs, as well as the major works. 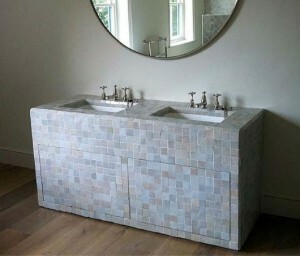 We understand that what we might class as a minor job, might well be major to someone who has no idea about plumbing. For example, we recently published a blog post on how to bleed your own radiator. To us it is a pretty basic task, but to someone with no training / experience then it could be a lot more difficult. It’s one that usually needs to be carried out relatively regularly to ensure your radiators remain as effective as they can. 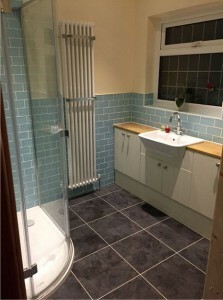 However, as soon as you doubt whether you could carry out a piece of plumbing work, it’s time to call in the experts – and even if you think you could do it, it might be worth giving them a call, as they could prove to complete the work considerably quicker than you could and at a price that might just surprise you.